Yooka-Laylee (Playtonic Games, $39.99USD) - A title that set Kickstarter alight before enduring a mixed reception on other systems, it's taken a little while to make it to Nintendo hardware. Thankfully the Switch gets a well optimised version of the 3D platformer that also addresses issues from the initial launch; we were very impressed with it in our Yooka-Laylee review. Poly Bridge (Dry Cactus Limited, $14.99USD) - An intriguing engineering / puzzle game already out on PC and smart devices, it t has a campaign of 105 levels in which you need to construct increasingly extravagant - and solid - bridges within a budget. Beyond that there's a Sandbox mode where you can do, well, pretty much anything you want. We liked this a lot in our Poly Bridge review. 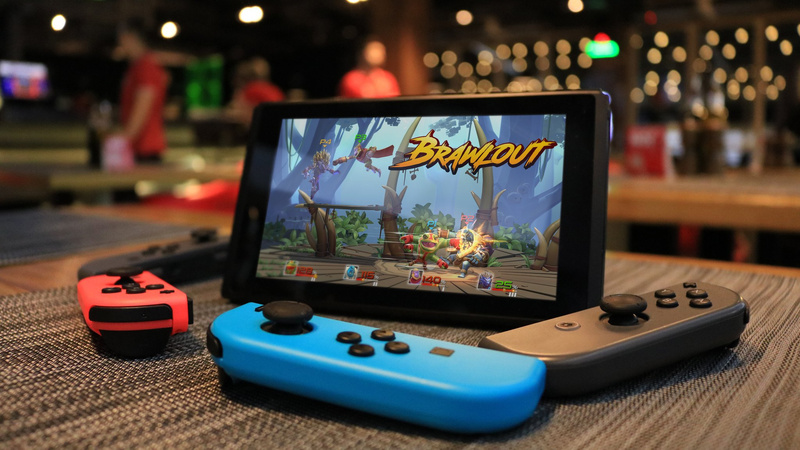 Brawlout (Angry Mob Games, $19.99USD) A game that isn't hesitant to affirm itself as an Indie take on the Smash Bros. style of brawling. Similar techniques are cited as key to gameplay, and you use assorted - in some cases familiar - indie characters to bash others off the screen. We'll fight it out in a review. Available from 19th December. 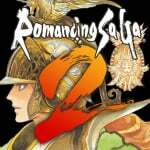 Romancing SaGa 2 (Square Enix, $19.99USD) - The game was previously a Japanese Super Famicom exclusive, having originally seen release in Japan in 1993. Recently, Square Enix localised the game for smartphones and the Switch version is presumably based upon the same code. A fan-made translation also appeared recently. Available from 15th December. 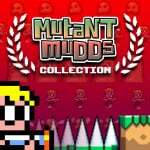 Mutant Mudds Collection (Atooi, $14.99USD) - This combines the excellent Mutant Mudds Deluxe and Mutant Mudds Super Challenge with the new block-matching game Mudd Blocks. That's a lot of fun platforming (and matching), and we gave this a lot of praise in our Mutant Mudds Collection review. Enter the Gungeon (Devolver Digital, $14.99USD) - A smartly designed roguelike in which you go into a run with the hope that a mix of skill, luck and perfect drops will see you make it all the way through. It has some smart twists to keep you going, too, as explained by our chums at Push Square. We'll get cracking on a Switch review. 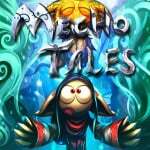 Mecho Tales (Arcade Distillery, $9.99USD) - Another Luc Bernard-directed title on the Switch, in this case a colourful action platformer with a distinct visual style. It supports co-op for up to four players and was only a recent arrival on the PS4; we'll check it out for a review. 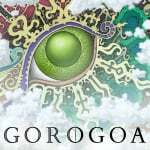 Gorogoa (Annapurna Interactive, $14.99USD) - An intriguing title in that it utilises hand-drawn story panels for its core mechanic, as you aim to solve puzzles by arranging them "in imaginative ways". We'll sketch out a review and let you know what we think. 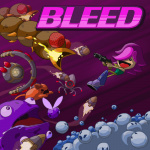 Bleed (Digerati, $14.99USD) - This is a fast paced 2D action-platformer with "acrobatic dodging and fluid, challenging gameplay". There are various weapons and three characters to try out, along with four difficulty settings and support for local co-op. It looks rather fun in footage, and we'll see how well it stacks up in a review. 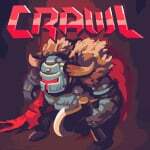 Crawl (Powerhoof, $14.99USD) - This dungeon-based game lends an awesome visual style with a clever local multiplayer concept - one player is the main protagonist, but up to three friends possess traps and monsters to try and kill them. The multiplayer hook could make it perfect for the Switch; we'll find out in a review. 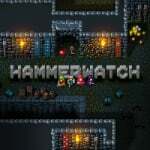 Hammerwatch (Blitworks, $9.99USD) - This pixel-rich fantasy action title sees you taking down hundreds of enemies as you attempt to storm the castle of Hammerwatch. 7 character classes are available while local multiplayer for up to four players is supported; online multiplayer is coming in the future. 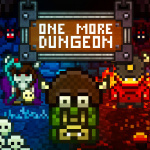 One More Dungeon (Ratalaika Games, $7.99USD) - This ticks a number of boxes: first-person dungeon crawling, roguelike gameplay with procedurally generated stages, retro-styled graphics. It could be a lot of fun; we'll find out in our review. Black The Fall (Sand Sailor Studio, $14.99USD) - A story-driven puzzle adventure game, this takes place in a "dark world inspired by Romanian Communism and '90s Sci-fi. It certainly looks moody and intriguing, so we'll try it out for a review. Never Stop Sneakin' (Humble Hearts, $14.99USD) - With a quirky concept of rescuing every President in US history, this focuses on stealth mechanics across a range of tricky stages; with progress you unlock new characters and abilities. We'll sneak a review out with our thoughts. 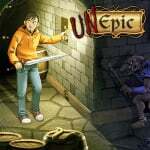 Unepic (unepic fran, $9.99USD) - The work of Barcelona-based Francisco Téllez de Meneses, this is a dungeon-filled 2D RPG that delivers a great deal of depth with a high number of rooms, potions, weapons and more to explore; we'll check it out on Switch, but in the meantime you can check out our original Wii U eShop Unepic review. Available from 15th December. Unholy Heights (Mebius, $4.99USD) - A rather quirky title with a mix of tower defence and 'apartment management'; monsters are moving into your building so you set rent and make sure they're happy. You then try to repel heroes when they come to slay the monsters. This was previously released on the 3DS eShop, and we quite liked it. 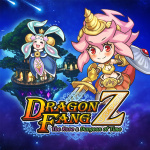 DragonFangZ - The Rose & Dungeon of Time (toydea, $24.99USD) - This is a turn-based dungeon-crawling roguelike, that's eager to tap into nostalgia with its marketing. A neat twist is that you can 'wear fangs of monsters and gain that ability, with 'more than 200' monster types promised. We'll see whether this is worth an adventure in a review. Available from 19th December. 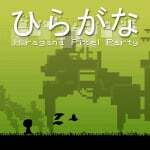 Hiragana Pixel Party (Springloaded, $8.99USD) - In what could be one of the first edutainment releases on Switch, this is a 'rhythm-action platforming Japanese-learning chiptune adventure'. Available from 16th December. 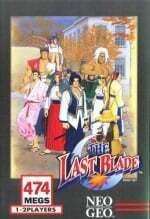 The Last Blade (HAMSTER, $7.99USD) - The much-loved ACA series continues with another Neo Geo fighter, with this one taking part in the "Bakumatsu” period of Japanese history; that means sword slashing action. Despite there being such a wealth of fighting games from the system on the Switch, check out our The Last Blade review from the Wii days to understand why this is one of the very best. BLOK DROP CHAOS (RCMADIAX, $1.49USD) - In this one you control a paddle to collect the 'correct shape' as it falls, avoiding others. That's a lot of options for this week - let us know what you'll be downloading in the poll and comments below. 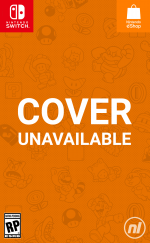 One game that was listed for today on the official site / eShop - 60 Seconds - hasn't made the cut for whatever reason, for anyone wondering where it is. Playing NBA 2K18 MyGM, Doom, and Stardew Valley. Need to knock some of this out before thinking too hard about what's next. 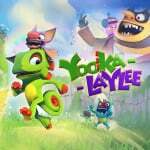 Got my Yooka-Laylee code in the Email the other day. Gon b gud times. Yooka Laylee and Mutant Mudds for me. I really need to slow down on buying games. Black the Fall caught my eye when it appeared on the Eshop last week. It received mixed reviews on PS4 but Push Square were happy with it, awarding it 9/10. I was looking forward to Brawlout. For some reason I was under the impression it was good but the reviews I've read have out me right off it. Shame! Pinball FX 3 is great. It was noted in the rundown above, but I wanted to make sure people know it also comes with three free tables under a promotion for this week. The add-on tables, especially the ones based on Universal Studio movies (ET, Jaws and Back to the Future) are really, really good. 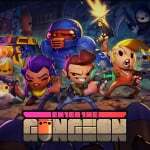 Is Enter the Gungeon not available in Europe? @Simon_Fitzgerald It hits Europe on 18th December. Probably wait for physical release of Yooka Laylee. Romancing SaGa 2 is a definite day one, and Mutant Mudds Collection is day one for physical. Might check out that Embers of Mirrim demo too. Game looks pretty intriguing. There's too many games to keep up on. I'm getting Mutant Mudds this week. I never owned it before, and am looking forward to it. Last Blade. Romancing Saga 2. And by Odin's beard, the eShop train won't stop. Getting Romancing SaGa 2 tomorrow. Last Blade isn't bad itself. Going to be snagging Stern's Pinball Arcade. Pinball on the go, yes please. Black The Fall seems intriguing and could be in the camp as Dead Synchronocity, but I could be wrong, so looking forward to a review of that one. Yooka-Laylee is a yes for me, but not today-- I will wait for a sale, or preferably, a physical copy so I can rent it. Romancing SaGa 2 will hit my wishlist for now. 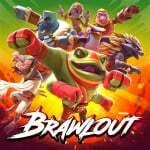 I doubt I get into Brawlout, but I am interested to see how well it is received. Lastly, if the four champions 3DS theme looks good, I'll slap it on my 3DS background, otherwise, that's it for this week. Tomorrow's payday, so I have to scour my backlog to see what I want to buy....siiiiiiigh. PS I thought Pulstar was coming this week? Yooka-Laylee has been great. Thinking about BrawlOut. @ThomasBW84 Thanks, I've got it on PS4 but definitely going for the double dip with the Switch version as well. Im definitley getting The Last Blade! Romancing Saga 2 sounds awesome as well!! romancing saga 2 and last blade for me. Holy moly! There's a lot this week! So... I'm just still not prepared for the length of the list when I check this story out every week. I need screenshots, though, at least to go along with this. I'd research/post them, but already behind on getting things done today. I really like the looks of Hammerwatch though. So many good games every week. So much for "only buy a Nintendo console for Nintendo games." I am still chewing on Mario Odyssey so Yooka will have to sit until it goes on sale or hits retail. Otherwise may try out Brawlout. It's be a different game to experience while Smash isn't eclipsing literally any other fighter. Romancing Saga 2, possibly my last major game for the year. I'm very much looking forward to playing it. @SimplyCinnamon53 Same here. Games like Zelda and Mario can be finished, but games like Splatoon and ARMS don’t really have a definitive end, so I keep playing them indefinitely. It’s a vicious cycle. Looking forward to Enter the Gungeon. Pinball FX3's Son of Zeus table is buckets of fun, but I think I'll buy the Aliens table pack next week. Stern Pinball's Frankenstein is alright, gonna drop some cash for the ACDC and Starship Troopers tables. Downloading the Embers demo because why not? @aaronsullivan Idk what it is but looking at One More Dungeon leaves me with a silly grin and I'm thinking of downloading it. x.X The price doesn't seem like it'd hurt much. Have you checked it out since it is one of the ones you highlight in your post? I'm def looking at One More Dungeon, Hammerwatch, and Last Blade. I'd also like to know what folks think about those games in particular. Not to say I dont want any of these, but Im enjoying what I have and buying for others. @aaronsullivan and now I'm going to buy Hammerwatch because of you. Looks awesome for Gauntlet lovers like me, thanks for the vid! Gungeon, Crawl and Mutant Mudds this week. Romancing SaGa 2, One More Dungeon, Pixel Party in the near future, after I actually finish some games. Keep getting distracted by some new release and not finishing anything. I've played Xenoblade 2 and Skyrim for like not even an hour each. Maybe played Noire for 3. 1st world problems. I pre-purchased Mutant Mudds, so that's today's guilty pleasure. ...and on the wishlist are Romancing SaGa 2, Hammerwatch, and Bleed, in descending order. Yooka-Laylee seems to be a love it or hate it kind of thing, so I'm not willing to risk it at full price. I went with Pinball FX3 along with the Portal table (I might get Balls of Glory at some point just for American Dad). Yooka-Laylee is a maybe...I feel like they took way too long so my interest for it died down some. LOL @ Yooka-Layle $50.00 CAD price tag. I can pick this up for $20.00 CAD on PC right now. No way the switch version is worth a 50% price hike. Get out of here. Anyway, I chose Enter the Gungeon, Romansing Saga 2 and MM Collection (pre-purchase). I also chose Yooka Layle but when Google it, is $20 physical on PS4. That makes it a hard sale for me, so I'm waiting on a price drop. @aaronsullivan very cool choices except One More Dungeon, I just don't trust Ratalaika. @Dang69 lol yeah, the Switch is giving me ADHD I swear. Games keep releasing and I keep buying them, getting distracted and not finishing anything. Switch releases definitely seem to be slowing down after this, but then again they aren't. Totally skint right now so I’m apreciating the free to play pinball model . I like pinball too, so all being well, I’ll be spending money on tables in the future, good marketing move on their part I reckon. @crackafreeze finally! Been waiting for a price drop since is higher than steam version if I remember correctly. What a great, digital week this is! Even the 3DS got a game... from a certain all-caps developer who used to post here. Nothing for this non-Switch owner. @aaronsullivan adding a video clip really does make a difference. I'll keep my eyes out for a review of never stop sneakin'. It looks interesting. Already downloaded the pinball fx3. Played unepic on the Wii u. I will get it on the switch. Just bought Enter the Gungeon and Hammerwatch. My XB1 is collecting dust because I'd much rather play these games on the switch due to the ability to go portable when needed (ie the kids are hogging the tv). That is NOT a small number of new titles holy crap! Nintendo really needs to update the eshop with better ways to browse through games. We need tabs for genres, price range and the ability to sort alphabetically or by release date. solid week, I must say. A lot of ports, but at least they're good ones. What a sad time for 3ds system exclusive gamers. If anyone would like a slightly cheaper copy of Yooka-Laylee, let me know. I have a code for sale. Did anyone else notice that a bucketload of titles are on sale this week? @bboy2970 Hey I'm sorry, but it was bought by someone on another site. Thanks for your interest, though.